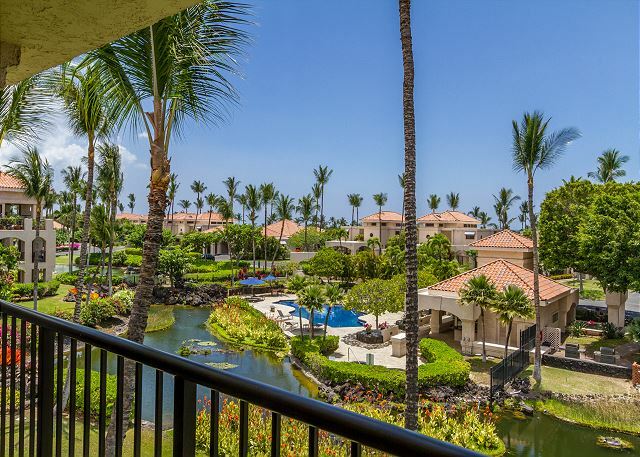 You will thoroughly enjoy your time here in this gorgeous space situated above a bounty of tropical flora, a koi fish pond and the property pool. This unit is elegantly styled with an earthy, neutral theme and a distinctive Mediterranean character that blends with the Shores architecture. 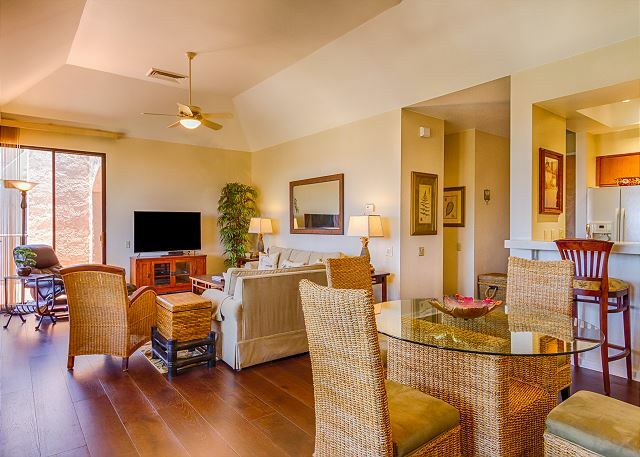 You will find exclusive furnishings plus plenty of light, fresh breezes and beautiful island scenery. This pleasant condo presents all-new features, from the solid-wood flooring to the paint to the updated furnishings, including an exquisite new king bed. 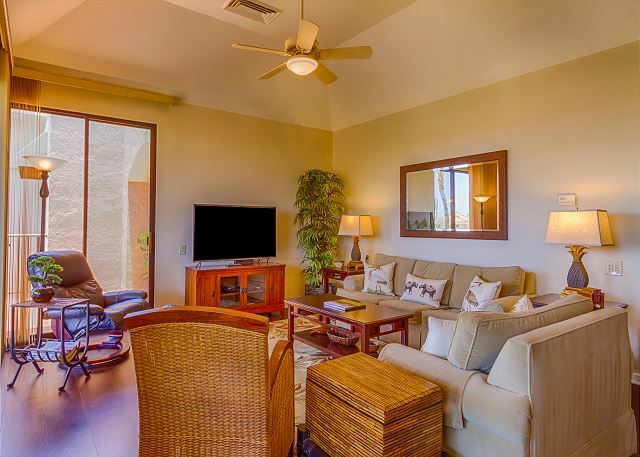 You will find all of the standard essentials to make your stay comfortable including a wide assortment of top-quality kitchen supplies; thoughtful dining and entertaining amenities; well-organized storage spaces; fine-tailored bed linens; beach supplies; Smart TVs; and wireless internet connectivity. Here you will be treated well and lavished with comfort. 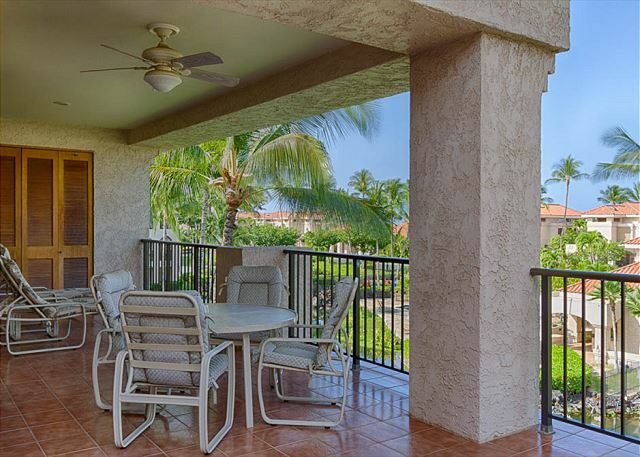 The unique one-bedroom layout features a large, open living-dining area, a spacious bedroom, and an extensive wraparound lanai with a sundeck. An upgraded wet bar is equipped with a variety of outdoor-dining supplies for your convenience. 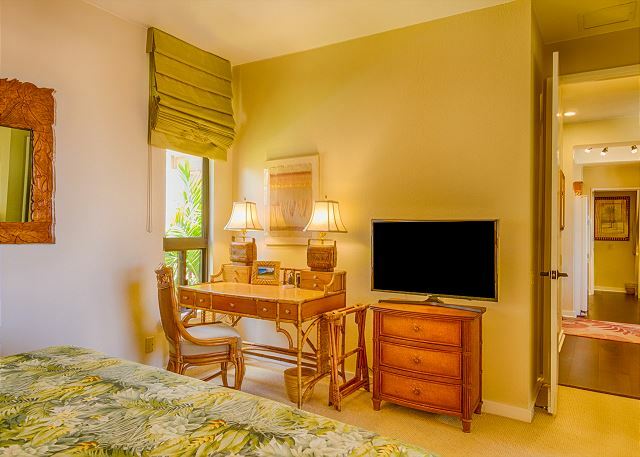 Private lanai access extends from the bedroom, a haven of tranquility featuring a new, custom-style king bed, quality lamps and fine window coverings. 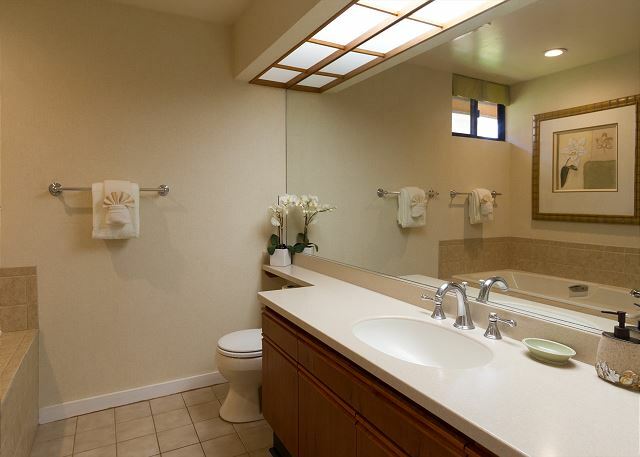 The fully upgraded bathroom has a new, deep bathtub with surrounding tile paneling and a contemporary standalone shower. 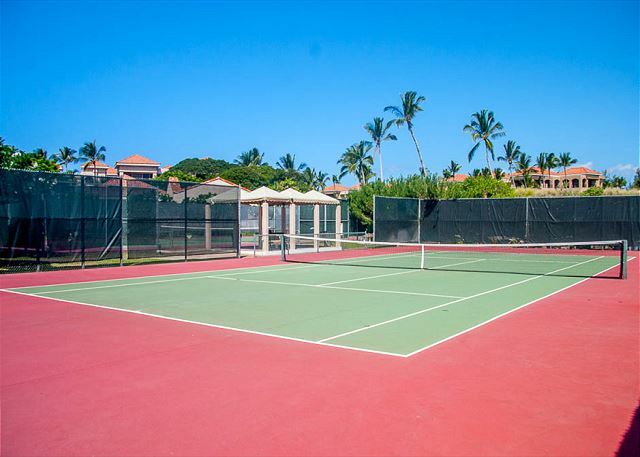 This centrally-placed unit lies within easy access to the property pool and jacuzzi spa, tennis courts, various grilling spots, and a fitness center. 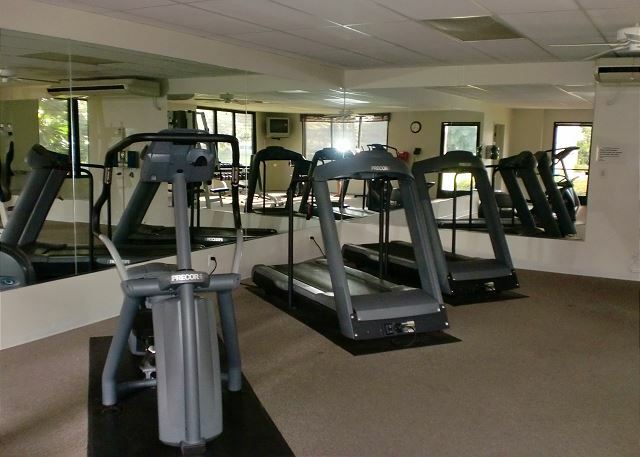 You will also find plenty to do in the immediate area either by foot or car. 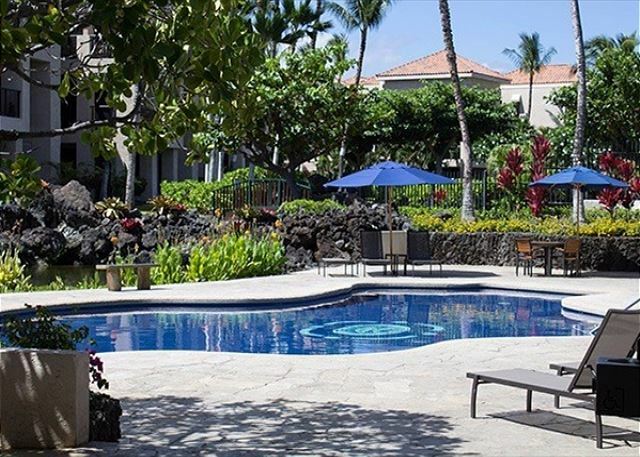 Enjoy a 10-minute walk to the Hilton for access to restaurants, shops, activities and services such as the Kohala Spa. There are also many historical sites and hiking trails to explore in the vicinity. The Shores' 11.4 acres are a welcoming year-round retreat for visitors seeking a tranquil environment, while still within close range of nearby attractions. The unit is very spacious for a couple. 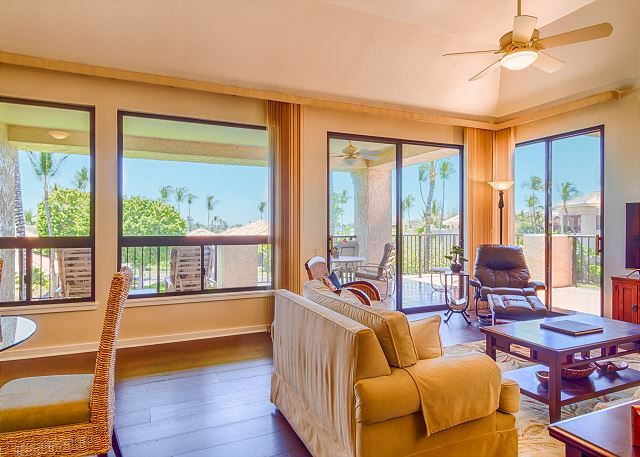 Love the wrap around lanai with partial ocean view. 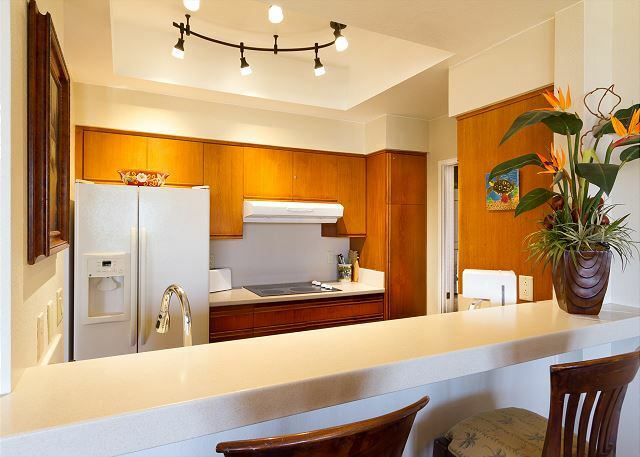 The kitchen is well stocked and location is close to all the nice beaches at Hapuna, Mauna Kea, and along the Kohala coast. Will definitely return. The condo was spotless and spacious. Peggy was super responsive and helpful throughout. We would gladly stay again. My husband and I are very happy with our recent May-June rental!! We’d visited the Big Island on a previous trip, so staying in Kona wasn’t a priority...matter of fact, we preferred being farther north because it was closer to a race my husband participated in during our stay. The condo was a one-bedroom but it was very spacious! Rooms were big and beautifully decorated, and the lanai wrapped around the back and side which was great for drinking coffee in the morning. The unit was also well stocked with every appliance and utensil you would need!! It’s also I in a gated community and was super quiet...we didn’t hear a peep from anyone in units around us. The condowas perfect for our 4-day stay but we’d definitely look to rent it again for another, longer visit! We can’t say enough how happy we were with the rental and the booking process...Peggy was great at answering questions in a timely matter!! We loved this condo! !